What does Australia look like in 2016, and what’s changed? If you’ve used our free tools before, chances are you’ve used a community profile. Usually, we build these tools for individual local government areas, as they are paid for by council subscriptions, and made available as an information resource to the public. These community profiles give great insights to your local area, but what about the bigger picture? The Australia Community Profile is one of our most popular pages, as it answers the big-picture questions about the population of Australia. It is built in the same way as our community profiles for individual LGAs, using questions such as ‘How old are we?‘, ‘Who are we?‘, ‘What do we do?‘ and ‘How do we live?‘ to develop a clear narrative about the population of Australia. 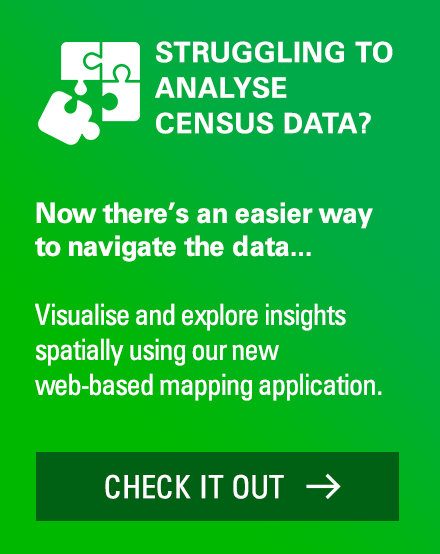 Sidenote: if you’re looking for a tool that helps you analyse Census data for all of Australia, right down to small areas, our Placemaker for Census tool may be what you’re looking for. The beauty of the Australia community profile is it allows one-on-one comparisons between states, capital cities, regional areas and the nation as a whole. We’ve recently updated the Australia community profile with first release 2016 Census data, and we will continue to update over coming months as more Census data is released. 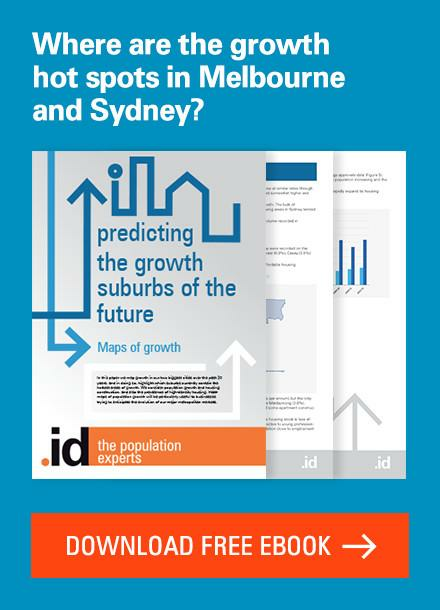 So, what are the early indicators telling us about the shape of our cities, regions, states and Australia? What does Australia look like in 2016, and what has changed? Australia’s population is estimated at 24.2 million in 2016, increasing by 1.87 million since 2011, at a moderate rate of 1.6% per year, compared to 1.8% per year between 2006 and 2011. 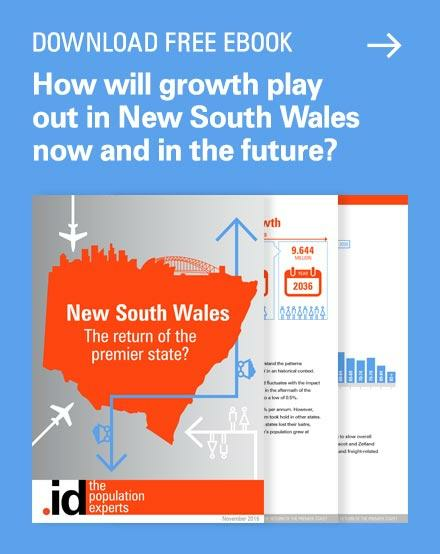 Victoria and New South Wales have driven most of this recent growth on the back of significant increases in overseas migration as well as births. Victoria experienced the greatest increase of any state, both in actual numbers and percentage increase over the five years to 2016. Over this period, Victoria and New South Wales contributed 60% to Australia’s population increase, compared to just 42% between 2006 and 2011. 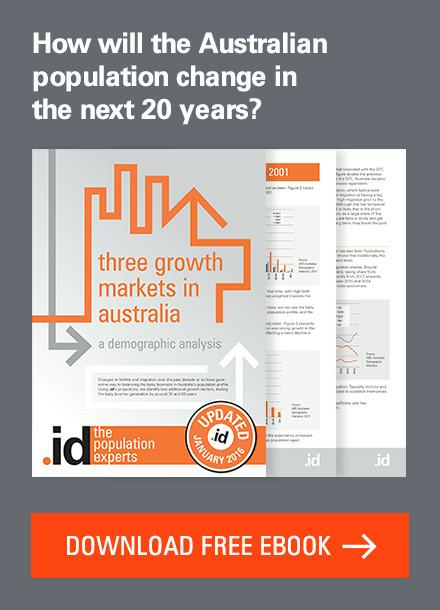 However, these recent population trends are somewhat of a reversal on earlier periods which were dominated by the traditional growth states of Queensland and Western Australia. In fact, between 2006 and 2011, Queensland contributed more than any other state to the Australia’s population increase. And it’s our capital cities which continue to grow quicker than the regions, contributing over three-quarters (76%) to Australia’s population growth between 2011 and 2016. 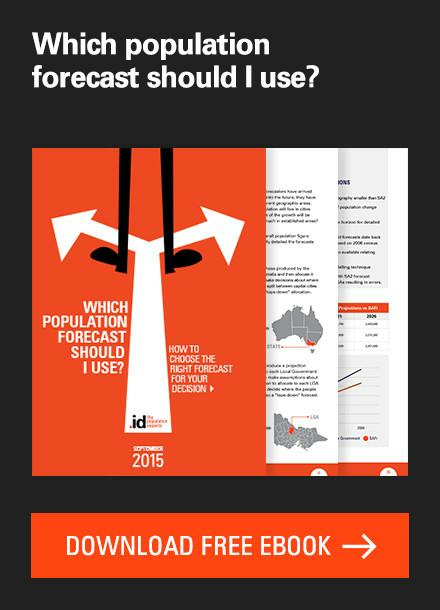 Over this period, Melbourne and Sydney contributed almost half (48%) to Australia’s population increase. Regional Australia still accounts for over one-third of Australia’s population, and it’s ageing faster than our capitals. Approximately, 39% of Regional Australia is aged over 50 years compared to 29% for capital cities, while only 38% of people in our regions are aged between 18 and 49 years, compared to 46% for capital cities. The proportion of children, were about the same between the regions and capitals, at 22% to 23% respectively. Australia continues to be a welcoming country with over one-quarter of our population born overseas (26.3%), and 17.9% from non-English speaking backgrounds. However, the backgrounds of migrants are changing quickly as we continue to experience increased migration from Asian countries, particularly China, India and the Philippines, and less migration from established migrant groups such as Italy, Greece and the UK. These emerging migrant groups are overwhelmingly choosing to settle in our cities, which generally offer greater access to skilled jobs and a range education opportunities. In 2016, 94% of Chinese and Indian born residents lived in our capitals, with 75% living in either Sydney or Melbourne. Sydney continues as the major city for Chinese born residents, and is home to 225,000 Chinese born people in 2016, increasing by 76,000 people (51%) since 2011. Melbourne’s Indian born population is the largest of any city, at 161,000 people in 2016. 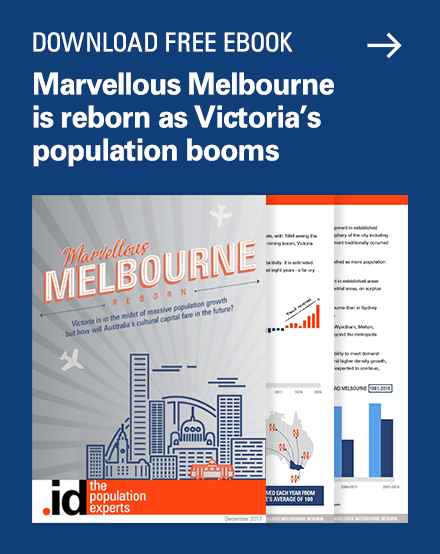 Since 2011, Melbourne’s Indian born population has increased by 55,000 people (51%), with the majority choosing to settle in Melbourne’s’ middle to outer suburbs. University attendance is up; TAFE attendance is down. Over the five years to 2016, 1.2 million residents attended university – an increase of 24% since 2011. This significant trend towards university education was greatest in our capital cities, with an overall increase in attendance of 192,000 residents, or 27% between 2011 and 2016. The greatest increases were experienced in Melbourne (73,000 residents, or a 33% increase), followed by Sydney (65,000 residents, or 28% increase) and Brisbane (25,000, or 23% increase). However, it was the ACT that recorded the highest share of residents studying at university at 8.6% of total population, up from 7.9% in 2011. Over the same five-year period, TAFE attendance declined by 10% to approximately 425,000 residents, as school leavers turned away from vocational training in favour of university education. This may have been for a range of reasons, including a change in educational preferences and significant funding cuts to the sector. 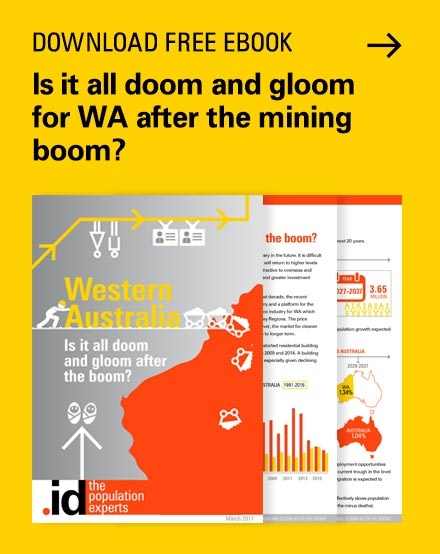 The trend away from vocational training is was most severe in Regional Australia, where the overall decline was -15%, including proportionally larger losses in Regional Victoria (-22%), Regional South Australia (-20%) and Regional New South Wales (-18%). More data on ‘What we do’, including employment by industry and occupations, as well as method of travel to work, is due to be released next week. We are increasingly choosing to rent rather than own our homes. Nationally, 30% of households are now renting, representing an 11% increase since 2011, which is a larger increase than any other type of tenure. While in Regional Australia the rental share of all homes has remained relatively stable at 28.0%, the greatest increase in rentals has happened in our capital cities. More households now rent in our capitals (30.2%) than those who fully own their home (27.7%), while the increase in rentals since 2011 was 14.2%, compared to a 4.7% increase in home ownership (fully owned or with a mortgage). Our Census expert, Glenn, recently wrote about this trend in the context of housing affordability, looking at the correlations between income and tenure type. Melbourne has experienced the greatest increase in rentals (21% since 2011), while Sydney (15%), Darwin (17%) and the ACT (14%) also experienced strong growth in this market. Interestingly, Perth, recorded the smallest rental increase (6%), and the largest increase in households with a mortgage (16%). This large increase in the number mortgaged home is a lagging indicator of the mining boom, which with associated high levels of home lending, was in full-swing at the beginning of the 2011 to 2016 Census cycle. Undoubtedly the increase in number households renting reflects current high levels house prices relative to incomes, however the trend towards rental accommodation, particularly in our capitals, may also be reflective of a shift in attitudes toward living closer to jobs, education and other lifestyle and amenity factors. Are we now more footloose than ever with regard to jobs, education and our lifestyle? 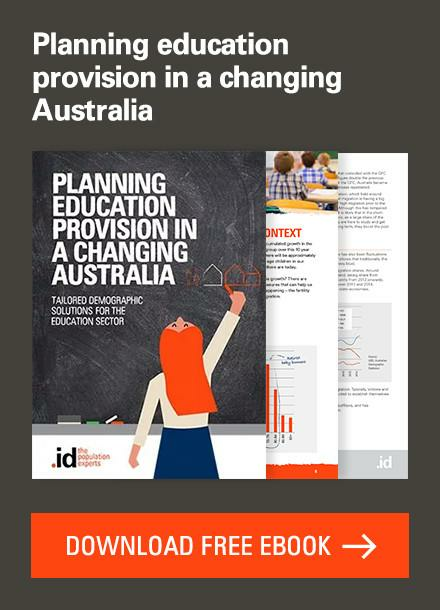 If you’re preparing a briefing, report or any other piece of work that involves talking about your population, the big-picture story of Australia’s population sets the scene for the narrative of your area. By firstly identifying national trends, you can compare how the story of your community is consistent with, or different to, that of the broader region or nation. Head over to the community profile for Australia to get started – it’s freely available for everyone to use. Andrew’s background is in urban economics consulting with a focus on strategic land-use analysis and planning, socio-economic and population analysis, demand forecasting and economic impact assessments. Andrew works with our local government clients to develop population forecasts, including analysing residential development trends, demographic trends and suburb lifecycle stages. Axe the 2016 Census? You’ve got to be kidding!